The Walking Dead is one of the most watched TV shows (R) rivaling the likes of Game of Thrones. Despite suffering abysmal ratings on the first half of the premiere of season 7, the midseason premiere more than made up for it! Despite its faults (Hey AMC, Zombies are good. Use that. You’re welcome—CTC staff), it’s still one of our favorite shows. And fans and critics seem to agree, currently, TWDd has a rating of 8.5 out of 10 on IMDb and is rated 82% fresh on Rotten Tomatoes, and generally does a good job of adapting, although liberally, Robert Kirkman’s Graphic novel (R) series on which it’s based. The premiere of season 8 of The Walking Dead is scheduled for October 2017. Before then, you can still catch up on older episodes of previous seasons through various online streaming platforms. It is possible to watch full episodes of the Walking Dead online. Fans of Walking Dead in the U.S. are treated to new exciting shows through a number of TV channels and online entertainment websites. 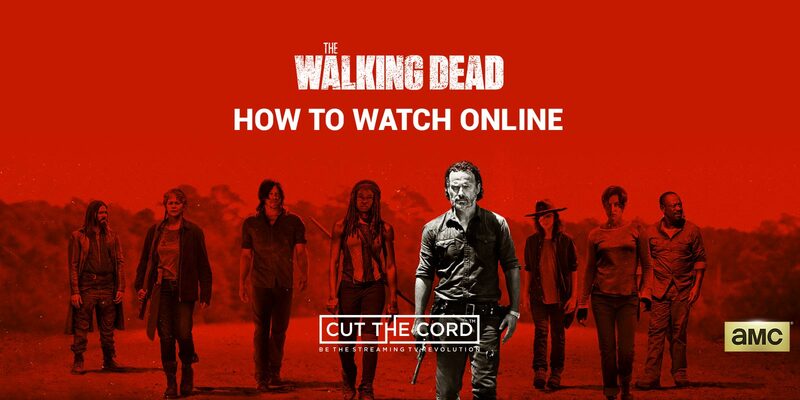 Here are the best options available to watch the Walking Dead on the internet. Your first option, although limited, is amc.com, the official network and home of TWD. There, you can stream 3 full episodes (R). 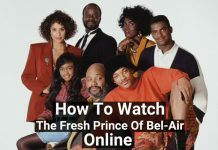 If you happen to still subscribe to traditional cable TV, although you shouldn’t and here’s why, you can access additional episodes using your cable TV credentials to sign in to the site. AMC channel is currently streaming three episodes from Season 6. This online media channel allows streaming of Walking Dead episodes from season 5 through to season 7. Yes, it is. Netflix is the best place to watch most of The Walking Dead online. You won’t have access to the latest seasons, but you can binge watch seasons 1-5 commercial free. We expect Season 6 to become available around the season 8 premier in October. If you aren’t a Netflix subscriber, then you should definitely sign up for their great free trial period. Your trial account will give you full access to the archived episodes of TWD and a huge library of original programming, TV shows, and Movies. that is valid for a month. If you don’t end up liking Netflix, but we can’t imagine why you can easily cancel your trial subscription before the month is over. Is the Walking Dead on Amazon Prime? The Walking Dead is on Amazon Prime, but it’s not streaming for free with a subscription. However, you can buy individual episodes or purchase an entire season to watch full episodes. Single episodes of the show will cost between $2 to $3 per episode. This option can be quite expensive when compared to purchasing the season pass. However, if you only want to catch up on two to three episodes, then paying per episode makes sense perfect sense. On the other hand, the season pass comes with all of the episodes. You can buy the SD version for $10.99 or the HD version that retails at $15.99. Amazon currently has full episodes through season 7 which cost $41.99 for HD and $26.99 for SD. In addition, the season pass also grants you access to new episodes immediately they air on cable TV. You don’t have to be subscribed to a cable plan to get a real TV experience. Sony’s PlayStation Vue service gives you the full cable experience without the usual hassle’s. There is even a free trial, that will give you full access to season’s of The Walking Dead for 7 days. Thereafter, you can either cancel your subscription before the seven days or switch to a paid account. However, PlayStation Vue is only available on PS3 and PS4 game consoles. If you’re hungry for more Zombie mayhem or suddenly find yourself with irresistible cravings for more TWD action, AMC’s has a horde of spin-off’s lurking around every corner.